Preparation is key to the quality of a finished product. Media blasting and stripping removes old stain, opens the grain of your home’s logs and prepares the surface for a fresh coat of stain. It combines compressed air with corncob or glass beads for a dry and efficient log-stripping process. Dry logs are healthy logs. Despite its name, blasting is not harmful to your log home, in fact it is much safer, and better for the environment, than chemical stripping. Our experience has proven that dry logs are healthy logs, so our stripping process utilizes only compressed air and the media material we feel is best for your project. Chink and caulking is removed prior to the blasting process to ensure thorough preparation and any necessary pest treatment, such as Borate, is applied after blasting is completed. After stripping, we use the Osborn Brush™ to buff the surface of your log home. These “Ozzies” are a specialty tool designed to carefully remove wood fibers, leaving the surface smooth and porous to expertly prep the log cabin’s surface for the application of a fresh stain. 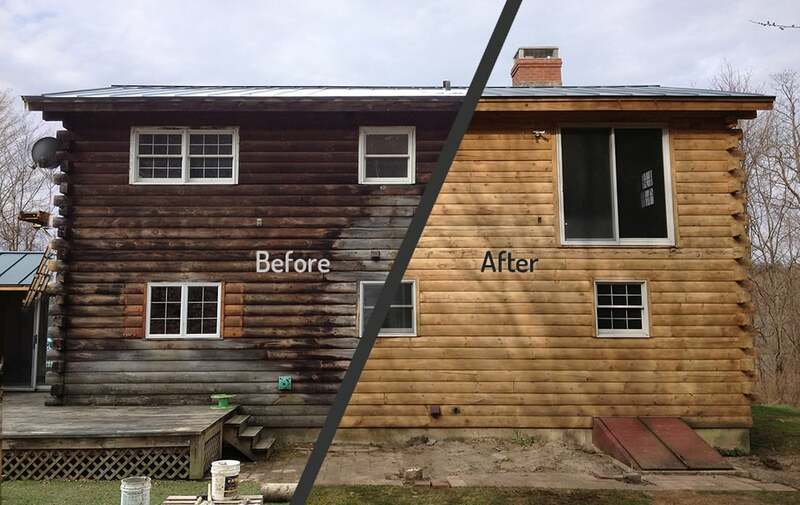 This spring we had High Country Restoration blast, treat, stain and caulk our log home in Central Vermont. Built in 1986 with logs cut from the property, the home had great character with knots and cambium, but after thirty years of sun and rain the logs needed help. There were places where we could see daylight between the logs, and others with bad sun bleaching. In other areas the logs were stained different colors. Ryan McDonald and his crew came when scheduled, and in two short weeks the job was done. There were never any delays, and when they were done, the detritus was quickly cleaned up. The final result was spectacular as evidenced by the compliments of everyone who everyone who comes up the driveway. 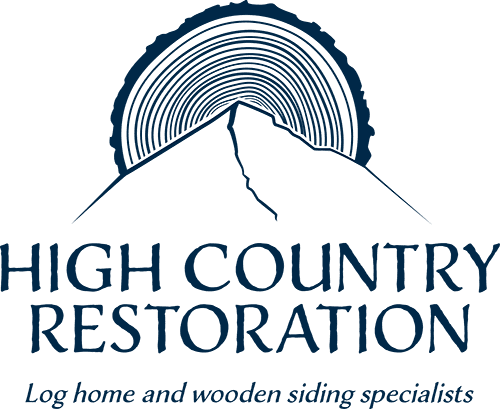 For anyone who wants to restore their log home that needs to its original beauty, I highly recommend that they get in touch with High Country Restoration. You will not be disappointed.